2016 EU reissue on 180g half-speed 2LP(with bonus album)-cut using a special technique known as half-speed mastering. 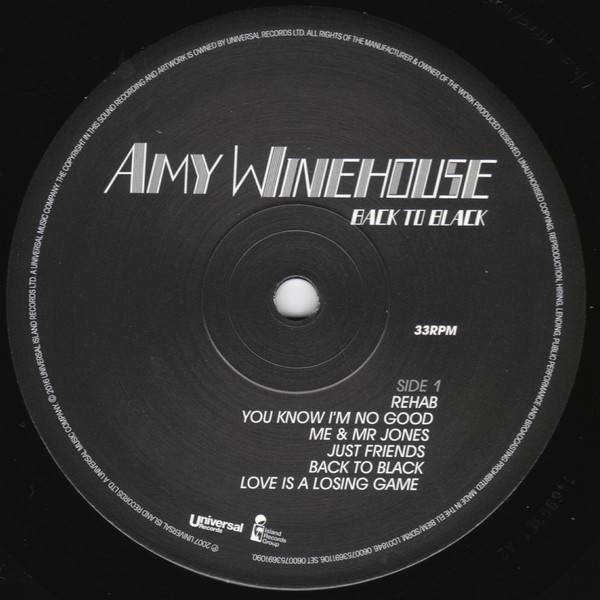 containing "Rehab," "Back To Black" & rare, and live tracks including "Valerie," "Cupid" and "Monkey Man." 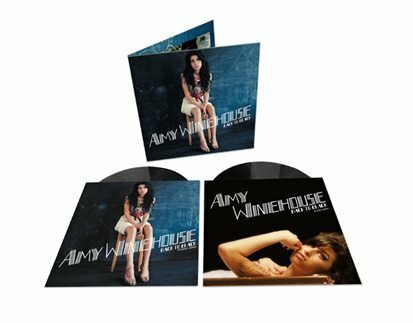 2016 EU reissue on 180g half-speed 2LP+download- This record was cut using a special technique known as half-speed mastering. This artisan process results in cuts that have superior high-frequency response (treble) and very solid and stable stereo images. 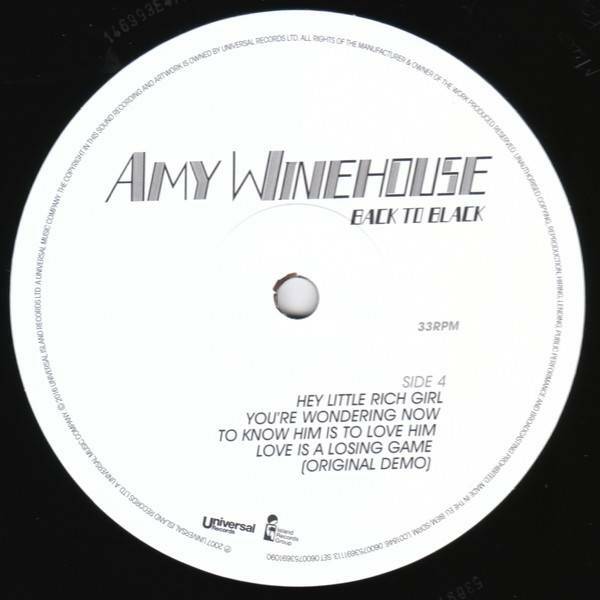 In short, a very high-quality master that helps to create a very high-quality record. 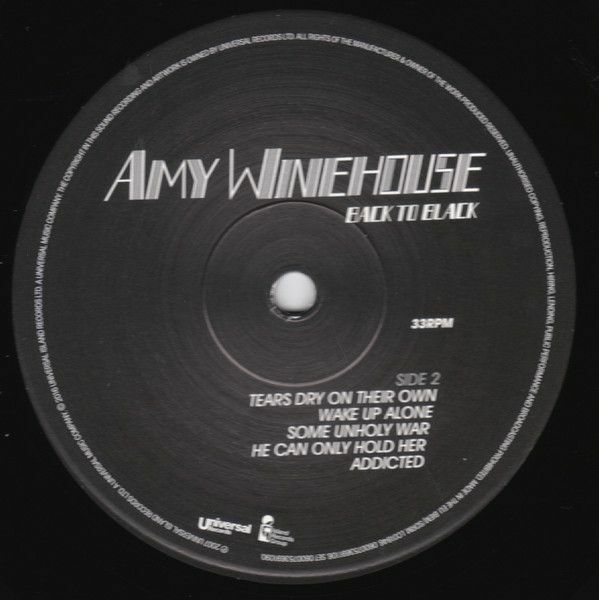 This half-speed master was cut by Miles Showell, the Mastering Engineer at the world famous Abbey Road Studios, and comes pressed as a limited edition 180g 2LP-set with accompanying download card. 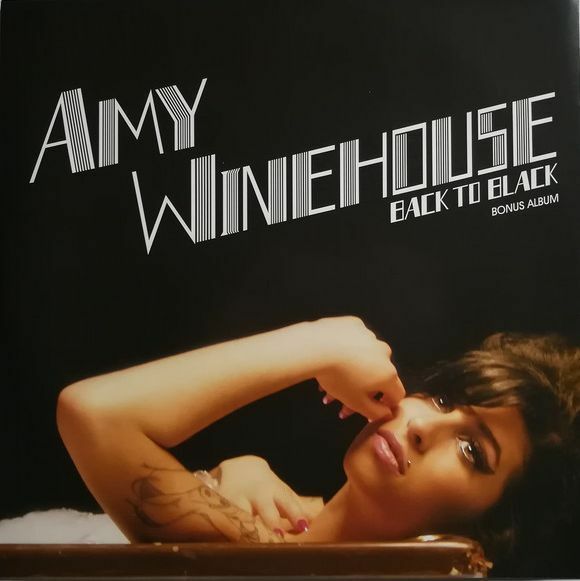 The 2006 modern soul classic Back to Black found Amy Winehouse truly coming into her own as a powerhouse artist and making stomping gospel ("Rehab") and Phil Spector's Wall of Sound ("Back To Black") stylish and dangerous again. The breakout signature effort took home five Grammy Awards including Best New Artist, Record of the Year, Song of the Year, Best Female Pop Vocal Performance and Best Pop Vocal Album while Mark Ronson also won for Producer of the Year. 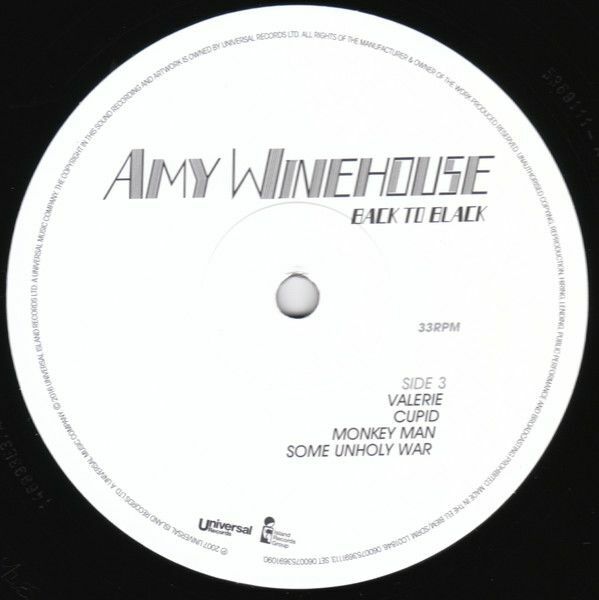 A 2CD Deluxe Edition of Back to Black was released in November 2007, containing a bonus disc of B-sides, rare, and live tracks including "Valerie," "Cupid" and "Monkey Man." 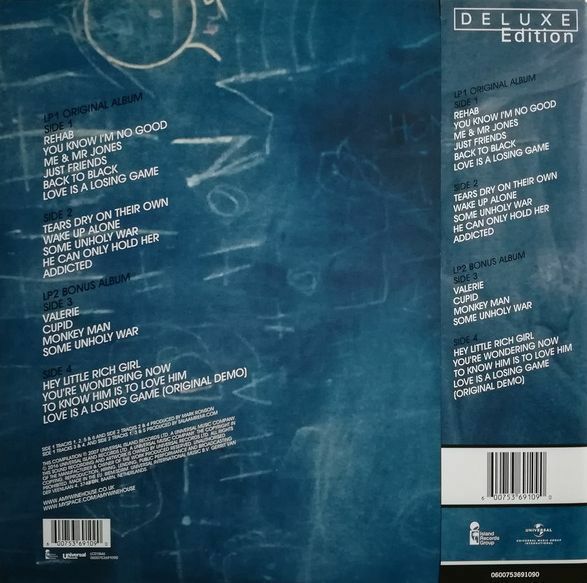 This 10th anniversary Deluxe 2LP-set contains the original album and all of the tracks from Deluxe Edition CD, plus many more gems which are appearing on vinyl for the first time.